Nikko Beady was the Region 8-AAAA Champion in his 145 lb. weight class during the recent area wrestling tournament. 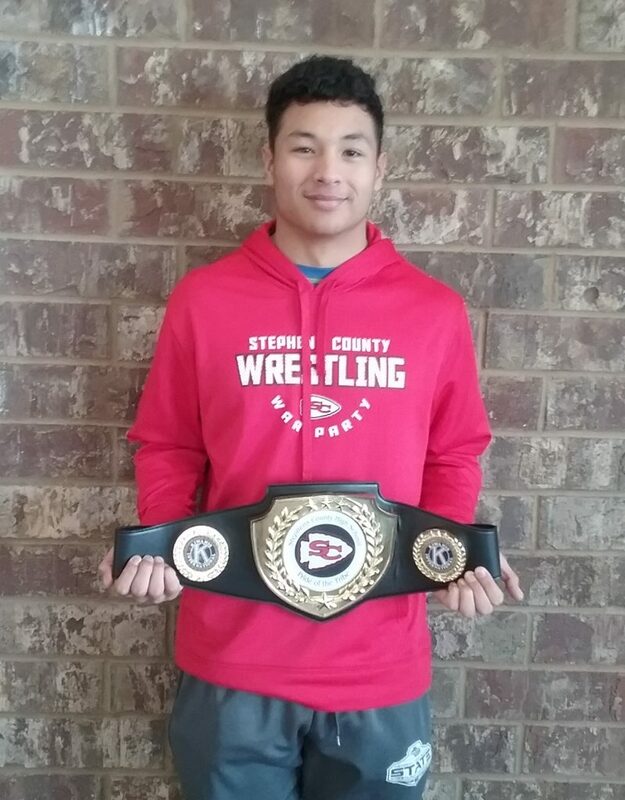 The Area traditional wrestling tournament took place this past weekend at St. Pius High School. Stephens County finished 4th as a team. The following Indian wrestlers placed at the tournament and will be participate in the Sectional part of the state tournament this weekend at West Laurens High School. Athena Malek and McKayla Adams finished 4th and will represent SCHS in the state’s 1st girls tournament. At 120 pounds, Chris Whisnant finished 3rd; at weight class 126, Ben Beady also finished at 3rd. At weight class 145, Nikko Beady was the Region 8-AAAA Champion. At 152, Mason Norton finished at 4th. Trey Blackwell at 160 pounds, Tyler Fulbright at 170 pounds, and Bailey McKee at 182 pounds all finished second in their weight classes. Finally, in weight class 195, Quannah Martin finished at 4th and Joshua Smallwood finished fourth in the heavy weight division.